Bloomsbury USA Childrens, 9781681191553, 40pp. Geisel Honor-winning author/illustrator Salina Yoon's beloved character Penguin celebrates the season in Penguin's Christmas Wish--a charming picture book that's perfect for the holidays. Penguin can't wait to celebrate Christmas with his family and friends. But when things don't go exactly as planned, Penguin learns to find holiday magic in the most unexpected places. 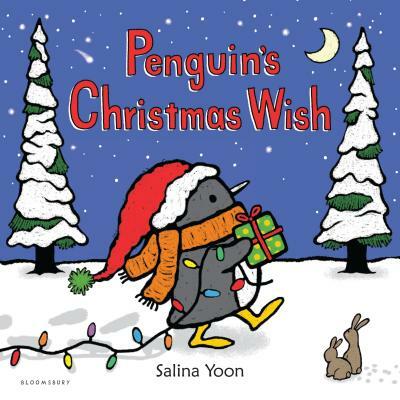 Countless readers have already come to love the adorable Penguin, and Salina Yoon continues this series with a timeless story of holiday magic and the importance of family and friends.